1. What is shared hosting? Shared hosting is where you will share a portion of the physical server among multiple customers. Here the resources are shared among the web server. 2. Is shared hosting is suitable for my business? If you own a small or medium-sized business on the internet then shared hosting is the best solution. 3. How do I upload files on shared hosting? In Sixthstar technologies shared web hosting packages allow the usage of MS FrontPage, Telnet, SSH, File Manager through which you can upload the files. 4. Does my website have separate IP? It is based on the server package you choose. Usually, it comes with the dedicated IP address. 5. How to configure my websites in shared hosting? 6. Can I transfer my domain name in shared hosting? Yes, you can transfer it easily. Change your DNS setting to do it. 7. How do I get my files transferred? Simply download the files and upload them to our server using FTP client or any publisher. 8. Can I know your technical support hours for hosting? We are available for chats, emails and calls for 24/7. You can reach us at any time for any issues or queries. 9. Can I host more than one website or domain? 10. Do you have an uptime guarantee for shared hosting? You will be provided with 99.99% of uptime guarantee for all the shared hosting plans. You can check our SLA to know more about it. 11. Do you include protection from Spam and Viruses? Yes. We offer protection like firewall and Spam Assassins to protect. 12. What if I accidentally delete a file or folder? Will it be lost forever? No. We will provide backup for all and you can restore them at any time. Check the SLA to know about it. 13. Can I upgrade my plan? YES! You can upgrade it at any time. 14. Do you offer SSH access? No, we don’t offer it. You possibly do everything with your CPanel setting. 15. Can I divide my Shared Hosting package and resell it? No, you can’t do this. This can be done with our reseller hosting packages. Check it to know more. 16. Is there money back Guarantee? Yes, we 30 days Money Back Guarantee option. 17. Do you offer any custom hosting packages? Our hosting plans are pre-defined and have the upgrading facility. You can upgrade them at any time immediately once requested. 18. How can I cancel the plan and request for a refund? The refund option is applicable only for first-time installers who claim for it within 1 week. Other than that, no amount will be transferred. 19. What kind of platform do you run? We offer both CPanel and Plesk for shared hosting. You can choose them based on the requirements. 20. Do the servers have SATA or SSD Storage? Yes, all the servers have 100% SSD storage. 21. How often you do a backup? We do a daily backup to safeguard your information. You can check our service level agreement with the backup facility. 22. Do you offer an Application Installer? Yes, we provide Softaculous installer where you can install applications within minutes. 23. How long will it take to set up my account? Once the payment is issued, your account will be activated within minutes. 24. What type of payment do you accept? We accept Visa, MasterCard, RuPay, American Express, and Discover. 25. What type of operating system do you use? We provide both Windows and Linux operating systems. You can choose the plan according to it. 1. What is a cloud hosting? Cloud server hosting enables you to experience the benefits of a dedicated server while reducing your monthly investment. With a cloud server, you could gain the advantage of both the virtual and dedicated server where you can share the expense of acquiring the server hardware and network connections with reduced cost maintenance. 2. What is cloud server? The cloud server is created by using virtualization process on a physical server which in turn creates “virtual machines” and these will have the physical host. Each of them posses dedicated RAM, CPU, and everything that accounts to create a server. Also, the server has the hard disk space capability which allows the virtual machine to move between different servers to keep optimum performance of the website. 3. How soon it takes to set up the cloud server? All the cloud hosting accounts are setup once the verification has been processed. Verification will be done on the same business day and this can take about an hour or few minutes. 4. Can I upgrade my cloud server hosting package? Of course! You can upgrade from any cloud server plan to any other cloud hosting package. If you wish to upgrade utilizing the same operating system i.e. Windows or Linux of the same version Sixth Star can upgrade your cloud server whilst maintain your original files and settings. Please call us before making your upgrade choice if you need more information. 5. Are cloud servers secure and safe? Yes, cloud server hosting is safe for your business. It is as secure as traditional hardware-based hosting offering the opportunity for increased levels of security. 6. What is the difference between a Cloud Server and a Dedicated Server? Cloud Servers offer greater flexibility than a dedicated server. Cloud servers can be created in few minutes, easily scalable, and can be deleted whenever you wish. You only pay for what you use and there are no long-term commitments. 7. What are the applications run on a cloud server? You can install all web-based applications, software, and utilities within the cloud server hosting environment without any moderations. If you have particular software to be run on the cloud server, contact us and we will assist you. 8. Do you offer private IPs? Yes, private IP’s is available and if not assigned call our team. Also, you can call us to assign extra IP if you wish to have. 9. Can I run a firewall on my server? YES! You can. Each server is capable of running the standard firewall called some even have it pre-configured. 10. I have a technical issue and queries about cloud server, to whom do I send it? If you are in need of any consultation of choosing your package or to grab any technical knowledge you can reach our technical support team at support@sixthstartech.com. 11. Will you help to install software? Yes, if you have chosen a managed service. 12. Do you have DNS? Yes, we have DNS where will maintain all your domain records. 13. Can I get the extra IP address? Yes, you can get. Contact our team to do further. Yes, you can reboot the server. 15. What level of support can I expect? In Sixth Star we are bound to serve you for 24/7. We will maintain and protect your server at level best. 16. When should I pay my bill? For a monthly payment, you will be invoiced with an email for the service you have used or it will be automatically deducted by us. 17. Do you provide backups? Yes, we provide backups and also backup on a daily process. You can call us regarding this or check our SLA to know more about it. 18. How do I transfer my account and files? First, sign in and buy our server then you can log in and can easily transfer your requirements within minutes. 19. Is it possible to install my own OS? Yes, you can install OS as you wish. 20. Can I buy extra storage? Yes, you can upgrade to additional storage by contacting us. 21. How will be my network performance? You will have speed up to 1Gbit since it operates at s-port. 22. What about the availability of data centres? We have tier 3 data centres located at various geographical locations designed with redundant power and security which doesn’t lead to any failures. 23. Do the performance hit when I change or upgrade my service? No. Your performance will be stable and doesn’t impact any hindrances. 24. Is it possible to get backups weekly? Yes, you can get it. We provide backup for daily, weekly, monthly you can choose any of them. 25. How long does it take to backup? The amount of time depends on the volume of your information or files. 1. What is dedicated server? 2. How does it work? 4. What’s the difference between managed and unmanaged dedicated hosting? 5. What kind of speed will my server have once it is connected? 6. What benefits does dedicated hosting have? 7. How many mail accounts can I have? And what software is used? 8. How much bandwidth is included with each server and how is it metered? 9. How many websites can I host on a dedicated server? 10. Do you offer backup services? 11. What type of RAID is offered? 12. What brand of server hardware do you use? 13. What software can I install on my dedicated server? 14. How do I add websites to the server? 15. Will I have root access to my dedicated server? 16. How often do you monitor the Data Center and servers? 17. What does the delivery time refer to? 18. What is the cost of set-up? 19. When can I order the options offered? 20. Are all dedicated products compatible with my server? 21. What's the lifetime guarantee for components? 22. What happens to my IPs and IP blocks if I don’t renew? 23. How do I cancel my IPs? 24. How do I choose my data centre? 25. Can I move a license to another server? 26. Can I install SSL? 27. Can I upgrade my server? 28. Do you have an uptime guarantee? 29. What are the conditions for 7-day trial? 30. What are the things you should see when choosing a dedicated server provider? 1. What is a virtual private server (VPS)? The VPS server has both the configuration of dedicated and shared server i.e. as a dedicated server it has a virtual independent environment and as a shared one it shares the resources of the server. Also, the server will not interface with the other hardware or file system rather it will send requests through queues and manages interpretation. 2. What is the need for VPS server? VPS is always a better choice. If you own a shared server and wanted an alternate as dedicated then VPS is a perfect solution that can fit your requirements. They are affordable compared to another hosting. They are highly secured too. 3. What about speed in VPS? Our data centres are equipped with latest tech hardware’s and software’s and are connected to Ethernet. So the speed will be in gigabits and are redundant. 4. What are the benefits of VPS? There are innumerous benefits in VPS to list, but there are few that top such as high security, reliability, customization, ease of usage, affordability etc. Also, you can install OS of your preference and can remove software for better-optimized performance. 5. Can I get a dedicated IP address? Yes, you can get a dedicated IP address at the sixth star. 6. Can I customize my VPS server? Of course! You can customize it according to your need and can install or remove applications. You will be provided with the root access facility to modify your server based on the requirements. 7. What is the difference between VPS and shared hosting? VPS gives you a virtualized environment as well as shared hosting features where resources are shared on a particular server. Whereas in the shared hosting, you will not have an independent server. 8. Can I have the additional bandwidth? YES, you can upgrade your resources at any time you want. Reach our support team at support@sixthstar.in for further details. 9. Can I register or transfer the domain names? Yes, you can register or transfer at easy steps to your new VPS account at any time. 10.	Who should use VPS? If your website is receiving a high traffic or you need to customize applications or to increase your security level but not willing to invest more, then VPS is the best choice. 11. Does VPS provide good security? Yes, VPS provides good security keeping your information and applications protected within its own independent environment. 12. Is VPS easy to use? Utilization is an added advantage in VPS hosting since you have a root access you can remove or install as per your requirement enhancing the performance of your site. 13. VPS is cheap or costly? Yes, VPS is cheap compared to another hosting service. 14. Can I customize my VPS server? Yes, with root access you can customize it as you wish. 15. How long will it take to setup my account? Once the payment is verified through email or phone, your account will be set up on the same business day. 16. Do you offer trials? Yes, we offer trial pack for 30 days. You can check our VPS hosting packages for further reference. 17. What type of payment do you accept? 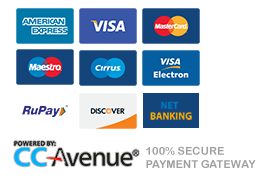 We accept Visa, RuPay, American Express, Discover, cheques and bank transfers. 18. Do you offer an uptime guarantee? Yes, we offer 99.99% uptime guarantee based on the SLA. 19. What is the operating system used in VPS? CentOS and Apache web server are offered with VPS in Sixth Star. You can choose them according to your requirement. 20. What kind of VPS server is available? We offer both managed and unmanaged services. Managed service is where all the technical part is handled by our professionals whereas in unmanaged you will receive a blank server where you have to optimize it according to your requirement. 21. Will I have access to a firewall for my VPS? You can configure the iptables rules to secure your server. 22. How can I connect to VPS? You can connect to your desktop or through SSH. 23. Can I additional storage? Yes, you can have additional storage. Call us to proceed further. 24. How often do you backup? We do daily backups and can restore it once you request. Kindly check our SLA to know more backup procedures. Yes, we will but only for first-time installers. Check our policy condition for further information. 26. How many IP’s do I get? Our entire VPS packages come with one dedicated IP. 27. What should I do when I want to change my server location? Simply contact our team members through email or calls and they will do the rest. 28. Are there any one-click installers? Yes, we provide Softaculous installers to your package where you can download applications within few minutes. 29. I don’t want Plesk panel can I get it without it? Yes, you can get it. Contact our sales or support team at the time of order to state your requirement. 30. What about your support services? In Sixth Star we offer 24/7 support service and maintenance. You can reach us at any time. Reseller web hosting is where a user will rent a particular drive space and bandwidth from a hosting provider and then rents this place to the third parties enhancing their small business. In simple, you can become an entrepreneur renting your place to your own clients as if you are a web hosting company. This hosting can be the best for the small business individuals and for web developers who aspire to become a reputed brand around. Here are the steps to be followed to obtain the reseller hosting, 1. Find a good hosting company. 2 Select the package from the host that meets your requirements. 3. Know the need for your customer and set the target market. 4. Create packages for your customer. 5. Post the packages on websites and sell it. 6. Earn as you sell. 3. What are the benefits of reseller hosting? 1. You can become an entrepreneur and get to act as a hosting company and can make money. 2. You can able to design packages that are tailored to your own business and clients 3. You can host and bill your customers enhancing your brand reputation 4. You can provide independent CPanel for each client 5. Invest low and you can scale higher. 4. What’s included in a reseller package? 5. Will my clients know it’s me…or my hosting company? The speciality of this hosting is that you can sale and run your business with your own brand name bannered everywhere. So they will believe it’s you and you can take total control over it promoting your brand and at any cause, if you face any technical issues we will help you quickly. 6. How can I manage if I’m technically weak in hosting services? Your hosting provider (us) will handle all the back-end works keeping your mind healthy and peacefully. From server management, administration, network performance, connectivity to security we will handle everything so you can focus on your core business. Moreover, anytime technical support will be issued. 7. Can I upgrade at any time? 8. Will you ever contact my clients? Never! We will not reach your clients in any instance and the deal will be offered and contacted between you and us. 9. Can I create accounts in real time? Yes, you can create through your CPanel and there will no obligation from our side. 10. How much time does it take to set up a reseller hosting account? The set-up procedure will be easy to process. Once you select, register and pay your package will be ready. 11. May I know about windows reseller hosting? In windows reseller hosting you will be provided with unlimited domains, FTP accounts, databases, SSL, and a dedicated IP address. 12. Can I have multiple domains? Yes, you can handle multiple domains in your account. 13. Are there any choices for reseller hosting package? Yes, there are choices for the package. You can choose them according to your requirement based on the domains, disk space, storage etc. 14. Can I migrate my account? Yes, you can migrate it easily through simple steps. 15. Do you provide uptime guarantee? Yes, we will provide 99.99% of uptime. You can check our SSL to know more. 16. How can my customers manage their package? They will be given a CPanel/Plesk to manage it individually. 17. Does your reseller come with one-click installers? Yes, we will provide a Softaculous installer that will help you to install applications within minutes. 18. How do I benefit with this? You can get a profitable income by reselling your space to your customers at whatever price you fix. 19. How can I add or delete features on the domains of the clients? You can do it with your reseller control panel since you have a complete access to their accounts. 20. What name servers will be used by the clients? It is based on the choice that you make at the time of provisioning. 21. Who manages the domain name registration for my clients? You and your client will be offered with this service. So if any of your clients wanted to register reach us and we will handle the rest. 22. Will I be provided with a shared SSL certificate for my clients? Yes, for securing some critical data’s or you can purchase any new private SSL from us. 23. Will there be a separate control panel for each domain? Yes, there will be a separate control panel. 24. How can I get SSL? You can request us to add SSL package to your server. We will do it as soon as possible. 25. Do the server have SSD storage capacity? Yes, you are provided with 100% SSD storage.